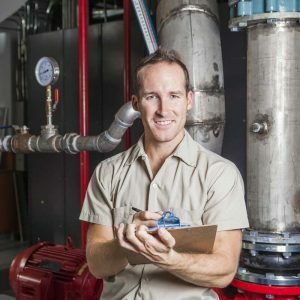 At Prevett Oil Co., we offer professional maintenance and repair services by our certified, highly qualified technicians to keep your valuable oil-fired heating equipment running smoothly from season to season. From annual tune-ups to on-call service solutions, the Prevett Oil team is prepared to help keep your Massachusetts home safe and warm. When winter arrives in Massachusetts, keeping our customers safe and warm is the number one priority at Prevett Oil. If your heating system shows signs of a breakdown, don’t worry! Just give us a call and one of our certified heating experts will be right over. Our technicians are trained to accurately diagnose and service a wide range of heating equipment makes and models. If your heating equipment requires a repair during off-hours, you can take advantage of our 24/7 Emergency Service. Does your heating system need service? Contact us at Prevett Oil today to schedule service. Braintree, Brighton, Brockton, Brookline, Canton, Chestnut Hill, Dedham, Dover, Foxborough, Franklin, Hyde park, Jamaica Plain, Mansfield, Medfield, Medway, Millis, Milton, Natick, Needham, Newton, Norfolk, Norwood, Plainville, Quincy, Randolph, Roslindale, Sharon, Stoughton, Walpole, Wellesley, West Roxbury, Westwood, Wrentham.